Trump to women Democratic lawmakers: "You weren't supposed to do that"
In an amusing exchange during Tuesday night’s State of the Union address, President Trump appeared surprised by the warm reception that one of his remarks received from Democratic women. “No one has benefited more from our thriving economy than women, who have filled 58 percent of the newly created jobs last year,” the president said. 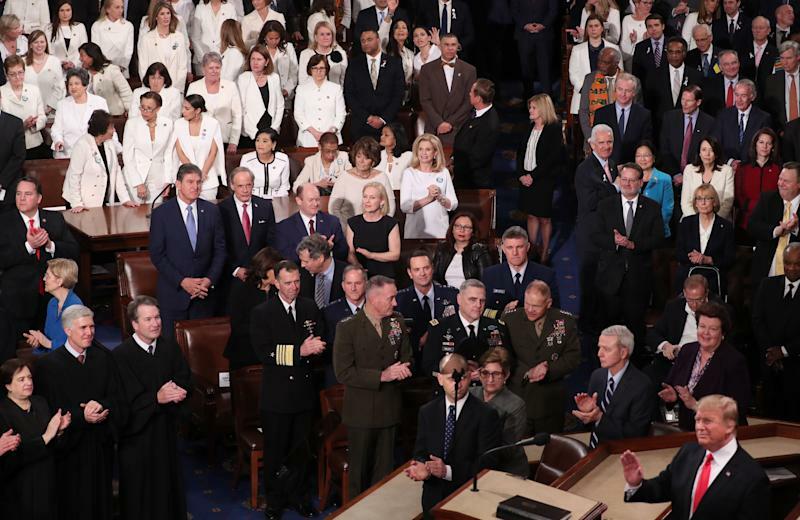 As Republicans stood to applaud that statistic, several female Democratic lawmakers, most of whom wore white in solidarity with those who took part in the suffrage movement, exchanged glances and encouraged one another to stand and applaud. Over the past two years, women across the country have taken to the streets for anti-Trump demonstrations and launched a movement to draft more female political candidates. Thanks in part to that effort, a record number of women ran for office, and, as Trump correctly noted, more women were elected to the House of Representatives than at any time in history.